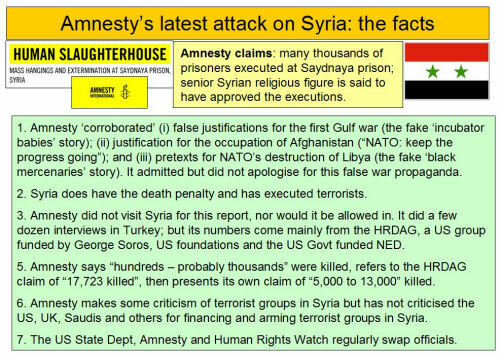 Radio Interview: Rick Sterling: Problems in Amnesty International & Human Rights Watch About Syria. Rick Sterling is the author of Eight problems with Amnesty International’s Report on Aleppo Syria and this interview by Brendan Stone gets him to explain his position in depth. If you thought it was too hard to figure out what is happening in the Middle East and what exactly America is doing there, this interview will clear up a lot.